Ten Degree is a Belgian Dubbel named in the monastic tradition in which beers are named based on their unfermented sugar. This beer is brewed with Belgian malt, amber Belgian candi and Belgian Trappist ale yeast which gives the beer the classic body, flavour, and aroma of a traditional Belgian Dubbel. We added fresh orange juice and zest to lightly accentuate the subtle fruity nuances of this historic yeast strain. 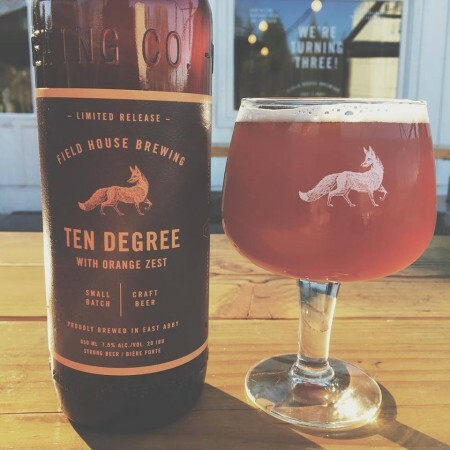 Ten Degree is available now on tap and in bottles at Field House, with distribution to select private liquor stores to follow next week.